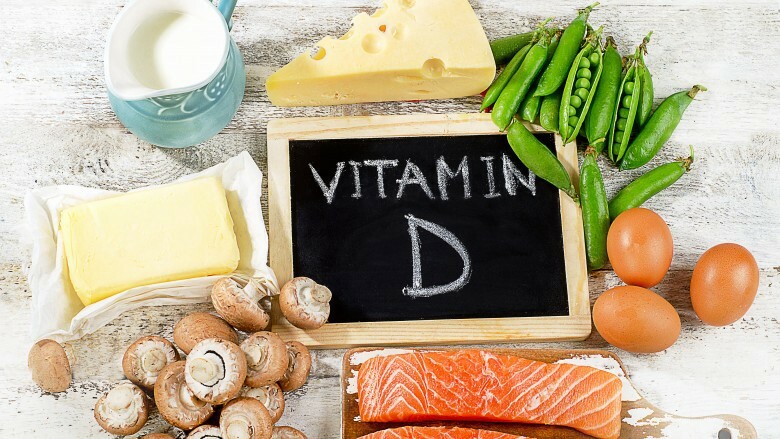 Vitamin D is an essential nutrient that is essential for strong and healthy bones. The amount of Vitamin D we need is 10,000 IU a day. This is a fairly small amount, and is simple to get, depending. This amount will help us to maintain strong bones, and can even be beneficial in order ways. Vitamin D is synthesized after the skin is exposed to UVB rays. It really depends, as it varies widely. Many factors determine Vitamin D Synthesis, including skin tone, weather (if it is cloudy) where on the hemisphere you are, how much clothes you are wearing, and if you are wearing sunscreen, to name a few. For instance, in some areas of the world, such as closer to the poles, sunlight exposure of any amount is pointless. Also, if you are inside, and being exposed to sunlight through a window, your body is not going to synthesize Vitamin D. This is because the glass in the window prevents UVB rays from getting through. Your body can create 10,000–25,000 IU of vitamin D in between the time of first sun exposure, and right before your skin starts to burn. This can be much easier, depending on where you live on Earth, and even what time of day it is. Midday, or about noonish, is the best time to get Vitamin D. During the winter, however, the sun’s rays are at too much of a tilt to allow UVB rays in for almost the entirety of the day. Also, the closer you live to the equator, the easier it is to get Vitamin D from sunlight. The further away from the tropics you are, the longer it will take for your body to synthesize about Vitamin D. Skin tone is a very important factor as well, as the darker you are, the harder it is to produce Vitamin D. For instance, in Boston Massachusetts, it is impossible to make Vitamin D from the sun during the winter months. The best thing to do would be to expose the most amount of skin to sunlight. If only a quarter of your skin is showing, you’re only going to get 25% of your potential sun exposure. Another thing you can do would be to go for walks. Exercise is great on the bones and health, so taking a walk about midday in the summer months will help a ton. Check the weather. If it is cloudy, you are exposed to less UVB rays, which makes it harder to get enough Vitamin D. One way to get Vitamin D during the months when you are otherwise unable, is to use a tanning bed. When using one, it is best to use a lower pressure beds, with lower amounts of UVA rays and higher amounts of natural UVB rays. You only need a few minutes of exposure to sunlight on a tanning bed in order to make enough Vitamin D, and you do not need to tan in order to do it. Try to get sun exposure, but minimize it in order to lower your risk of developing skin cancer. Your risk of developing skin cancer increases significantly if you burn. This is why it is important to reduce sun exposure before you burn, and not stay in direct sunlight or in a tanning bed longer than you have to. It is not hard to get Vitamin D from sun exposure if you know how, but do ere on the side of caution. Use common sense when you are outside for long periods of time, and try not to get burned. If you do it right, you can a great time while making sure you get a great amount of all natural Vitamin D!